Successful applicants are allowed to bring in one personal car OR choose to purchase one locally-assembled car without the need to pay import duty, excise duty and sales tax. Participants are allowed to purchase more than one residential property which must be above the minimum ceiling price set by the respective state ∞where the property is located which is generally RM500,000 and above for each property. For non-MM2H participant to invest in Penang, the MFIV is varies from RM 1 million to 2 million as stated in the table above. The MM2H participant may purchase one new motorcar made or assembled in Malaysia. He/ she will be exempted from paying excise duty and sales tax on the new motorcar.An application to PURCHASE a new motorcar made or assembled in Malaysia must be forwarded to the Ministry of Finance within a period of one year from the endorsement date of Malaysia My Second Home (MM2H) social visit pass. Note: Do not make an outright purchase of the motorcar before obtaining approval for tax/ duty exemption from the Ministry of Finance. However, a booking for a motorcar may be made prior to obtaining approval from the Treasury. IMPORTANT: The condition for the car import is that the MM2H participant should be the owner of the motorcar for at least 6 months prior to obtaining the MM2H visa, as evidenced in the motorcar registration document. Applicants are allowed to bring their children who under 21 years old and not married as their dependants under this programme. Please note that tertiary educational institutions (private colleges and universities), requires their students to have a Student Pass. Therefore, MM2H dependents who are enrolling into tertiary educational institutions, are required to terminate their MM2H Social Visit Pass in order to apply for the Student Pass and should be insured throughout their stay under this program. 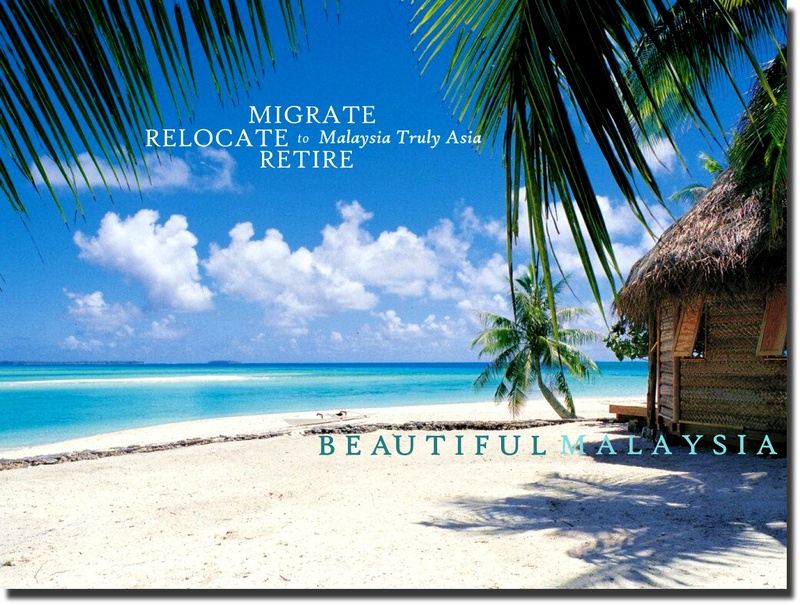 However, tax exemption is given to pension remitted into Malaysia. Participants are required to obtain the endorsement from the Authorities in their country of origin as to the total amount of yearly pension received. A copy of this letter has to be submitted in their application. Business set up available for participants under Malaysia My Second Home Programme by registering your business with the Companies Commission of Malaysia (CCM) under the Companies Act 1965, only eligible to register under limited company in Malaysia. Participants of Malaysia My Second Home Programme can obtain part time work with terms and conditions applied. All individuals are liable to tax on income accrued in and derived from Malaysia or received in Malaysia from outside Malaysia. Income remitted to Malaysia by a resident individual is exempted from tax. A non-resident individual will be taxed only on income earned in Malaysia. The rate of income tax depends on the individual’s resident status, which is determined by the duration of his stay in the country as stipulated under Section 7 of the Income Tax Act 1967. Generally, an individual who is in Malaysia for at least 182 days in a calendar year is regarded as a tax resident (after deduction of personal reliefs). Malaysia has a high standards of health, and its medical services are among the best in the region. Many doctors have been trained in Western countries and both doctors and nursing staff will usually speak English. Most medicines are widely available and dispensed by trained pharmacists in major towns. All Malaysian residents are eligible for medical treatment from government clinics and hospitals, as well as a wide range of private clinics, but most expatriates and many Malaysians opt for the many private clinics and hospitals which can be found everywhere, for example in shopping malls or business complexes. These usually require immediate cash or credit card payments for health services. It is acceptable to approach specialists or hospitals directly without a GP referral. A high standard of food hygiene is prevalent in Malaysia and those involved in food preparation are subjected to Health Ministry controls. Food handlers undergo regular screening against diseases.